BBC Sound of 2015 winners Years & Years announce an autumn UK tour calling at Liverpool’s O2 Academy, Getintothis’ Paul Dahill licks his lips. London electropop trio Years & Years are returning to the O2 Academy on Tuesday October 20 as part of their UK tour promoting debut album Communion. The Liverpool stint of the tour will come just over a year after their October 2014 gig where they supported Clean Bandit in a sold out 02 Academy. 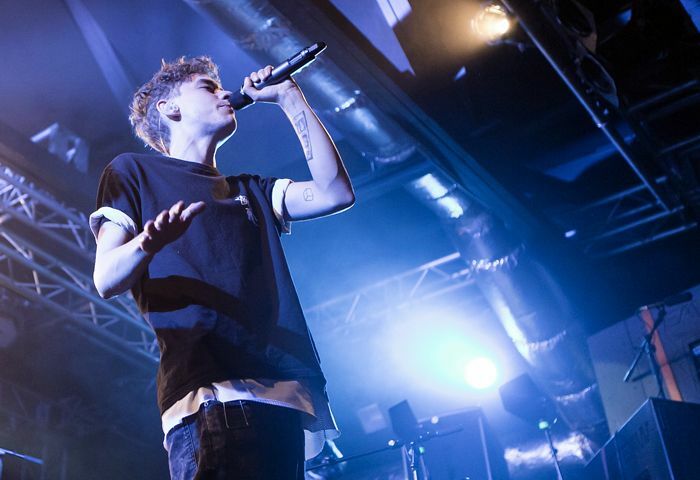 Years & Years have rapidly become one of the hottest properties in UK music for 2015. They began the year by winning BBC Sound of 2015 seeing off competition which included Lapsley, Wolf Alice, James Bay and George the Poet. Years & Years promptly followed this with King, a platinum selling, number 1 single in March. New single Shine is out on July 5 and debut album Communion follows this on July 10. Tickets go on sale this Friday June 5 at 9am and are available directly from their website.